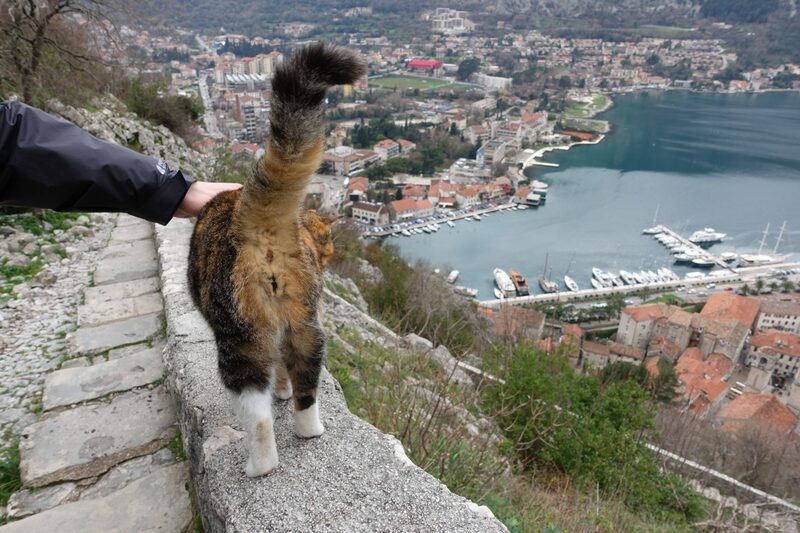 Kotor is a quaint seaside town in Montenegro that’s full of cats. We walked up to the top of the fortress and were greeted by a cat just hanging out. We explored the Old town and saw a cat on every corner. There is even a whole museum, the cat museum, dedicated to these furry creatures and its proceeds are used to feed and take care of Kotor’s cats. Wherever we turned, there was a cat. The Old Town is also full of souvenir shops that are offering heaps of knick-knacks featuring cats. 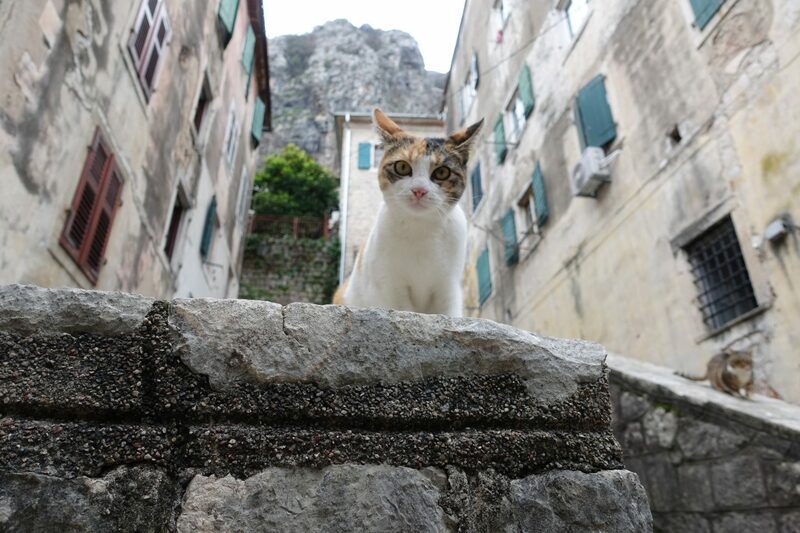 After roaming Kotor’s streets I was starting to wonder how the local cat population grew to what it is today. 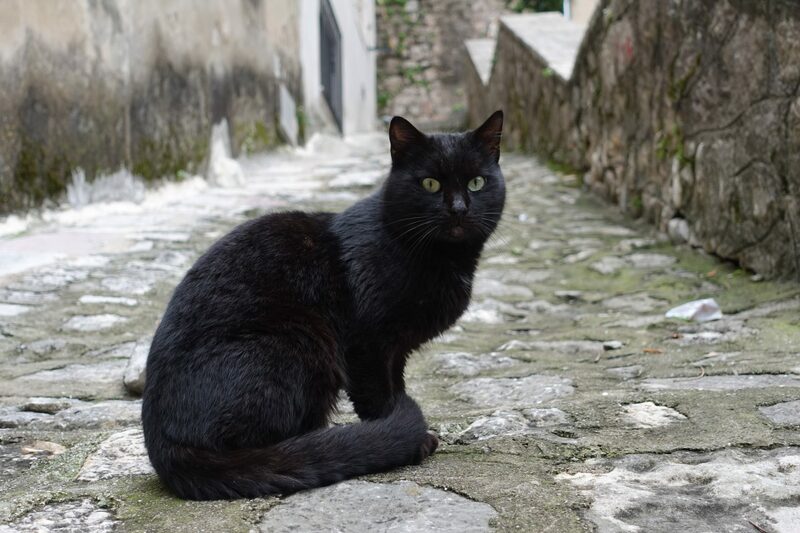 Upon doing a little research online I stumbled upon this blog post explaining that Kotor was, for centuries, a busy trading point and along with people and goods from all over the world, came cats. Today, Kotor has a huge cat population, they are simply everywhere and there is no hiding from them. 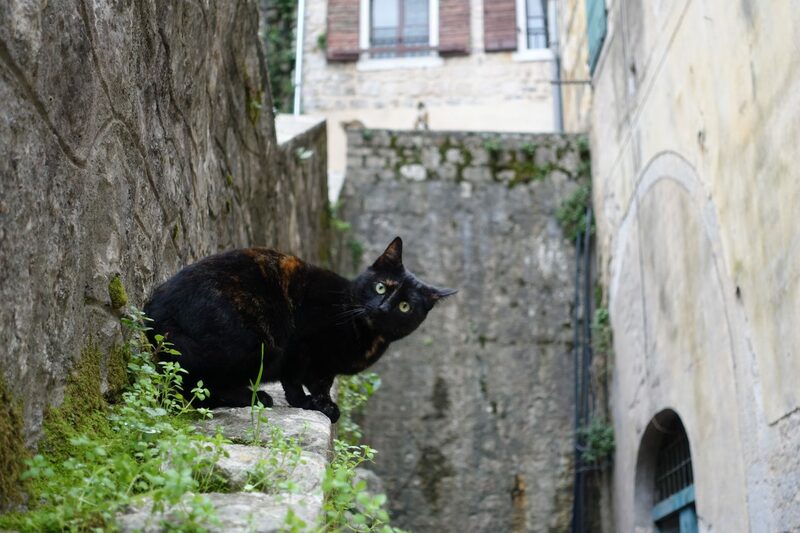 While roaming through Kotor I couldn’t resist and snapped a whole bunch of photos of its cats. 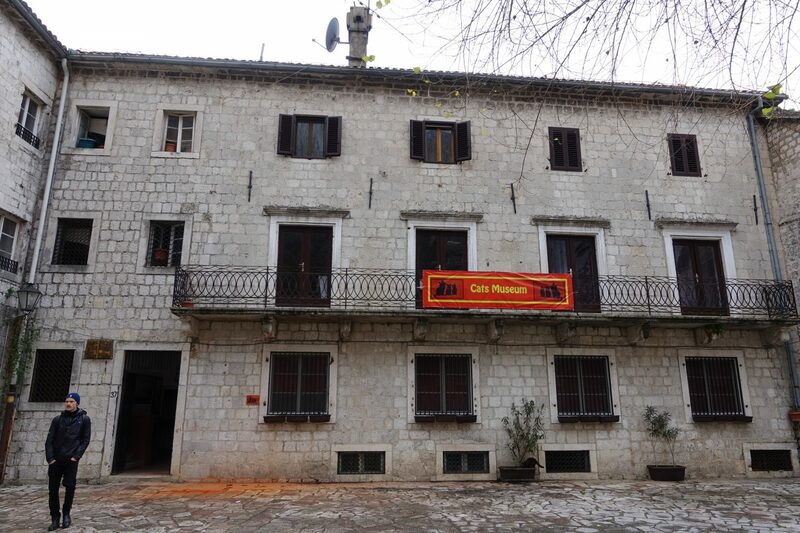 I visited Kotor during the winter and must say that I would not go there again during the colder months. It’s a ghost town. However, if you happen to be around in the spring, summer or early fall and are a lover of cats then Kotor is definitely worth a visit. I truly enjoy studying on this site, it contains wonderful content. “The great secret of power is never to will to do more than you can accomplish.” by Henrik Ibsen. 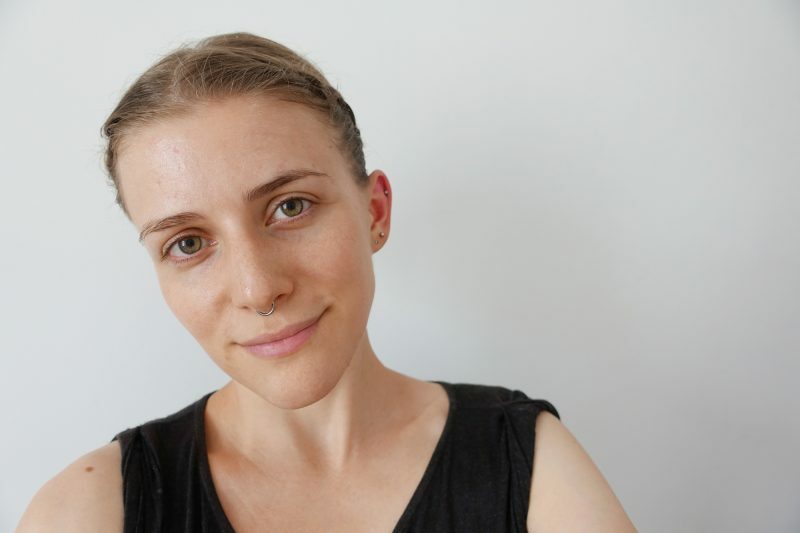 I just want to mention I am beginner to weblog and honestly liked your blog. 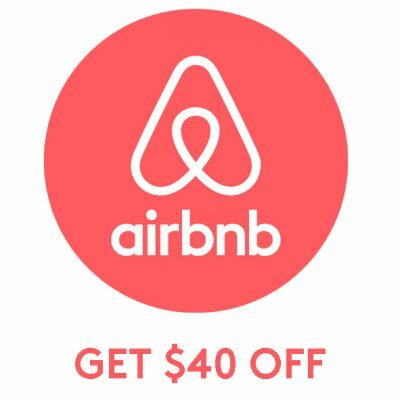 Most likely I’m going to bookmark your website . You absolutely come with incredible writings. Thanks a bunch for sharing with us your web site. 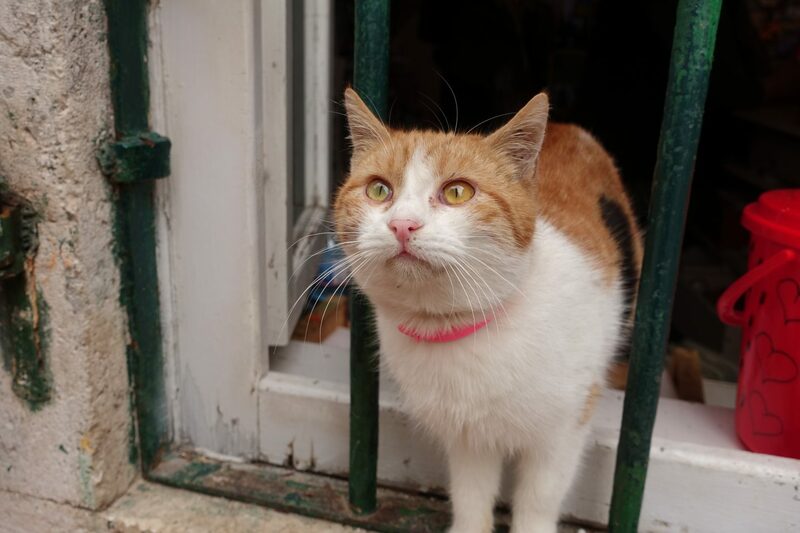 Kotor Kitties began in summer 2018 to organize and pay for spay and neuter services to the stray animals throughout Montenegro, beginning with the cats in Kotor. To find out more about what we’re doing, please follow us on Facebook: http://www.facebook.com/kotorkitties.